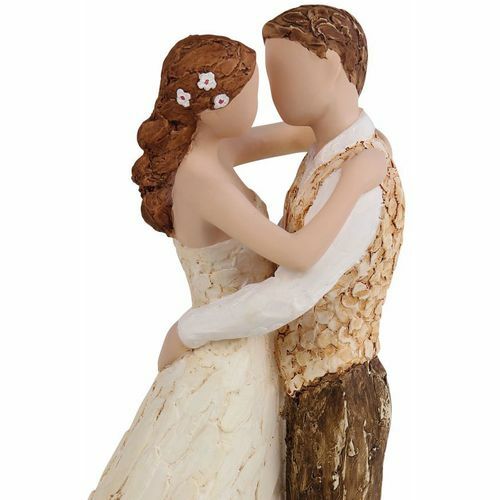 A wonderful wedding figurine from the More Than Words collection of figurines designed by Neil Welch. 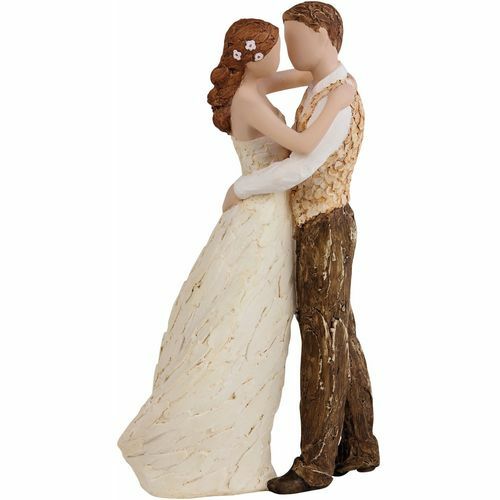 The delicate piece shows the happy couple dancing together, making it ideal for a wedding cake decoration. 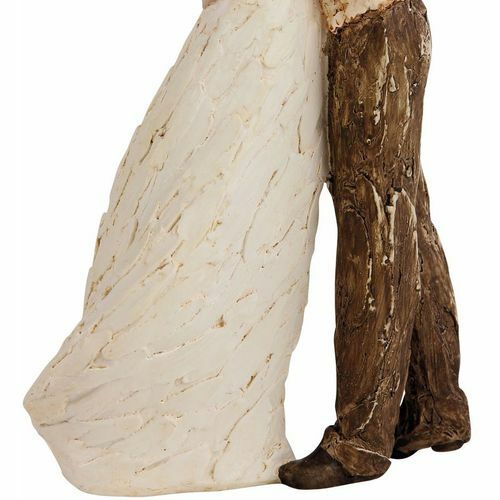 The bride wears a long flowing gown with tiny flowers in her light-brown hair, and the groom wears a waistcoat suit. It is decorated with soothing, neutral colours and creates emotion through the simple art of gesture. Each figurine is presented in its own individual box, accompanied by a name card detailing the sentiment.